Relaxation and Rest is an innate part of human living, to heal, to grow, to rejuvenate, to re-vitalise, to restore harmony, to re-establish centeredness in our living and being. In a demanding and fast-paced environment, many often equate ‘busy-ness’ with meaning or purpose in life, whilst Rest is often disregarded. Rest is a state where the body and mind take a pause from stimulation, to recalibrate and restore equanimity. Rest is not a luxury. It is an essential process for establishing harmony at the physical, emotional and mental level. It is for survival, vitality and longevity. It is an important ingredient for peace and joy in life. The intention of this 6-week online course is to introduce the practice of Relaxation and Deep Rest for health and vitality (physical, emotional and mental). This course offers a step-by-step guide to understanding and practising Restorative Yoga, a great start to integrating Relaxation and Rest into one’s home practice as well as into general yoga classes for those who teach public or private classes. There are six comprehensive modules, introducing six fundamental Restorative poses in detail. This home study course supports one’s learning through a combination of lectures, guided inquiries, PDFnotes, quizzes and forums. One of the key features of this course is the audio visual illustrations of each pose where Adelene shares detailed information on setup and alignment, application, benefits and contraindications, variations, timing for each pose, and departing the pose. ​Through lectures, images and interactive elements, students will be invited to explore their own journey of learning on a week-by-week basis. You can study at a level and depth suitable to you – preliminary and additional reading material is available. You will receive links to each week’s video lectures and supporting materials each Monday, and can listen to those lectures whenever and as often as you wish. To help assimilate and reflect on the information learned each week, there will be a short quiz and/or weekly reflection topic, as well as an active discussion forum. Students will have one week to complete the requirements for each module before being able to move on to the next module as a way to ensure that the whole group begins and ends the training at the same time. You will have access to the course for the duration of 2 years. 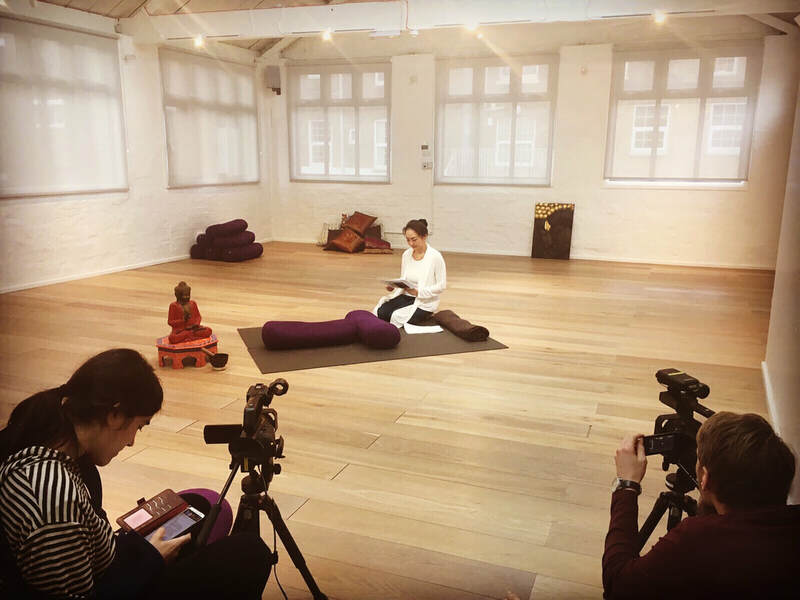 The course is suitable for anyone interested to start practising and learning about Restorative Yoga, and for those who intend to share or teach this practice. Open to therapists, teachers in training, and teachers of other disciplines who are interested in understanding the theory and principles of Relaxation and Rest. It is highly recommended to complete this online study as a preliminary introduction to the 30-hour Restorative Yoga Intensive with Judith H. Lasater and Adelene Cheong. You will receive a Yogacampus certificate of completion on submitting all weekly assignments and a short practical assignment at the end of the course.